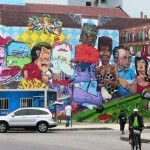 RIO DE JANEIRO, BRAZIL – Rio enjoys a special reputation as a city tolerant, if not welcoming, of street art. 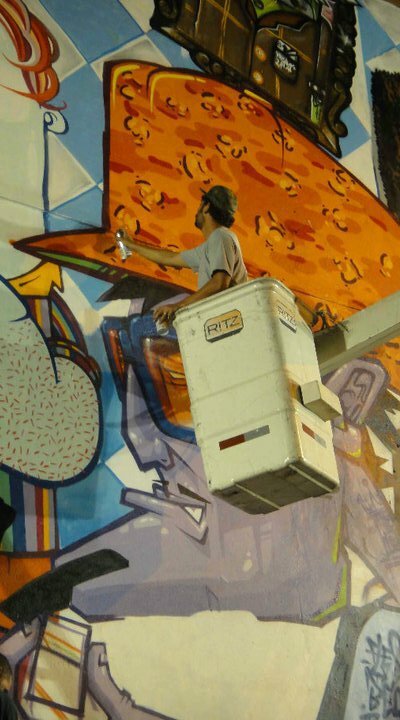 This stance on public art has helped produce incredible local talent and brought international artists to the area in recent years. 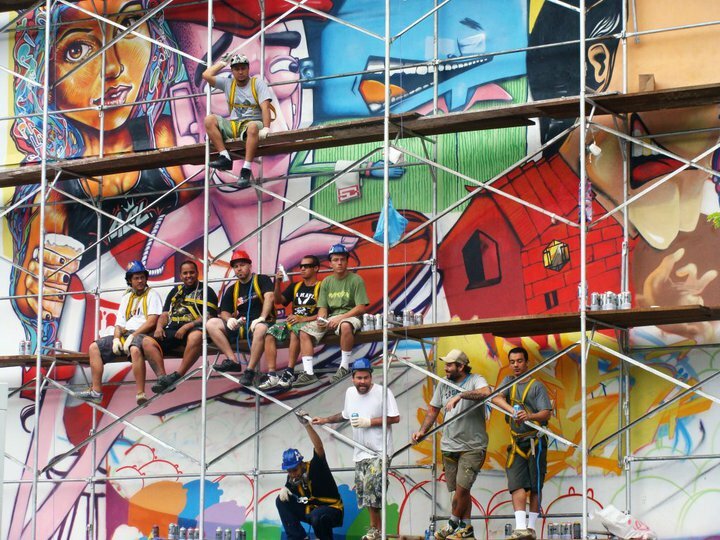 As a result, once-blighted areas have been revitalized in a creative way that is representative of the people of the city’s approach to life. 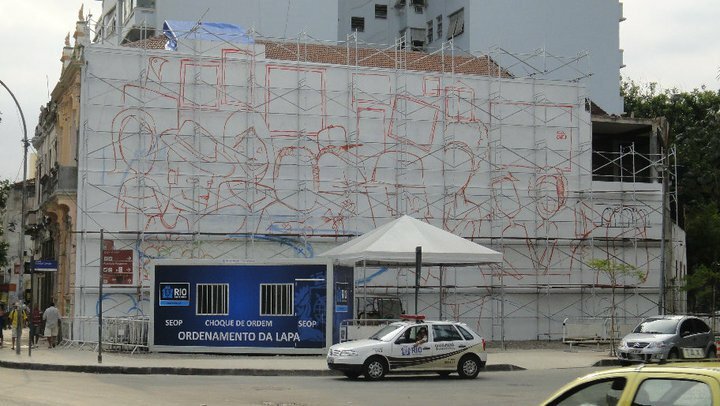 The wall before instillation of the doors, photo by Instituo RUA. 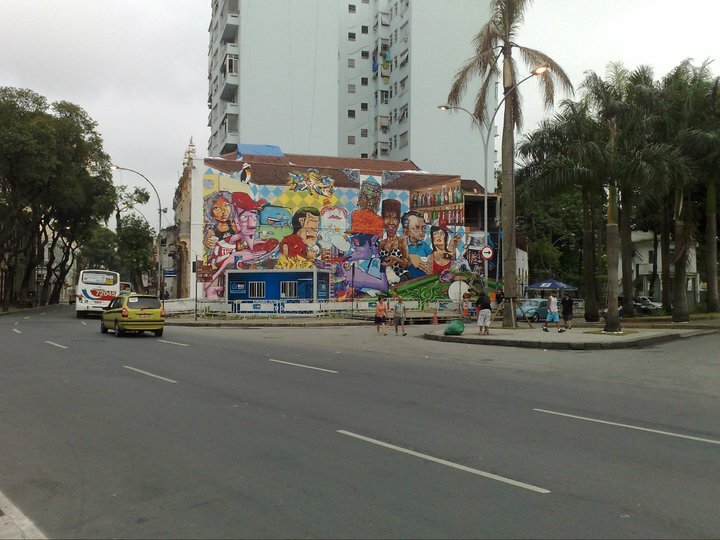 This is clearly seen by anyone entering Lapa, the graffiti mural (Bambas da Lapa) on display near Circo Voador, a 300 square meter wall, is a testament to the city’s celebration of local artists. 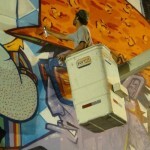 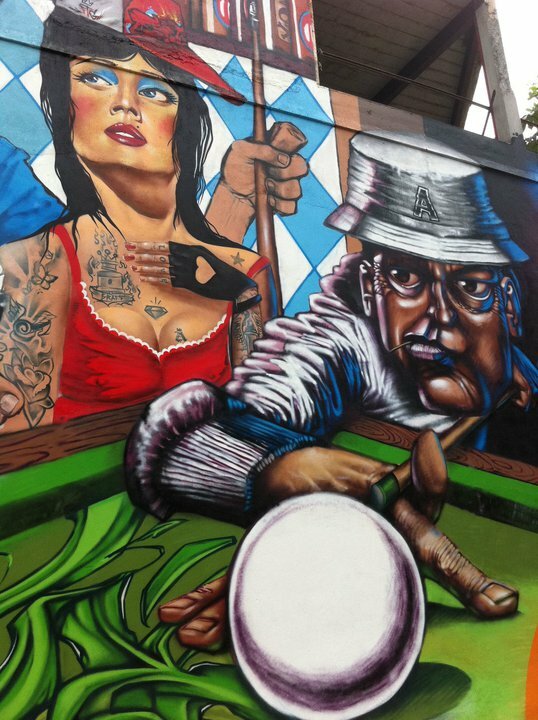 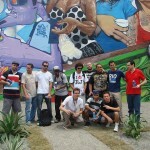 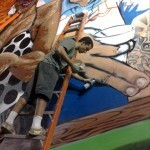 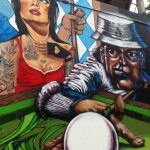 The project, organized by the non-for-profit Instituto RUA (Revitalização Urbano Artística), was completed over ten days in 2010 with the help of sixteen well-known local graffiti artists. 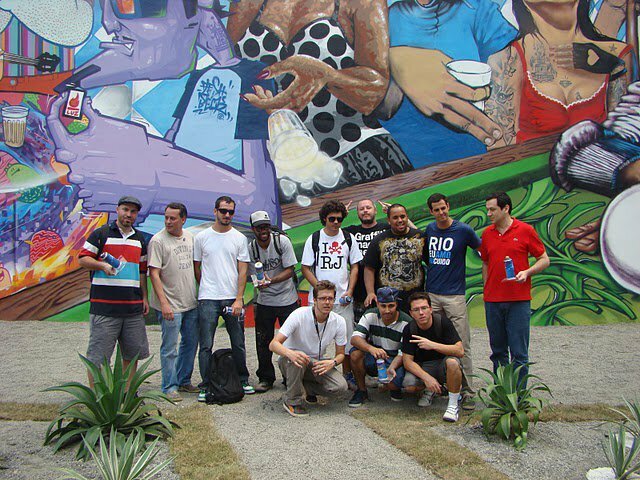 The project, done with the help of private sponsorship (the project was financed by Antarctica beer) and the support of the city (the inauguration of the wall was attended by the Mayor of Rio), was a great success in many aspects. 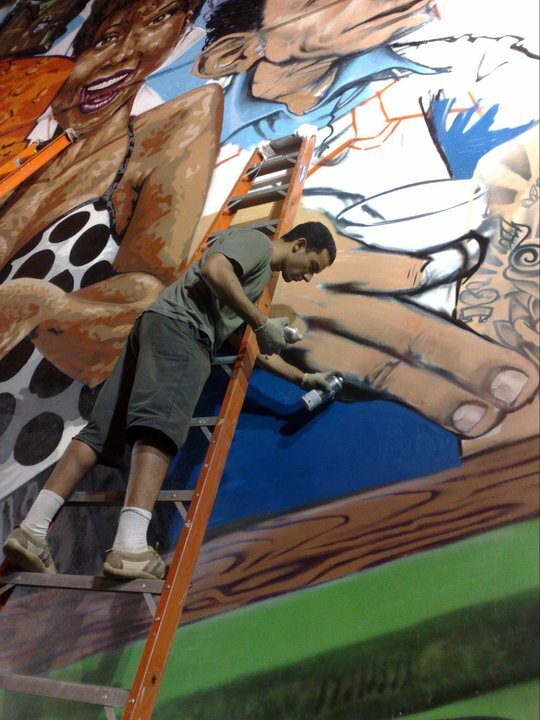 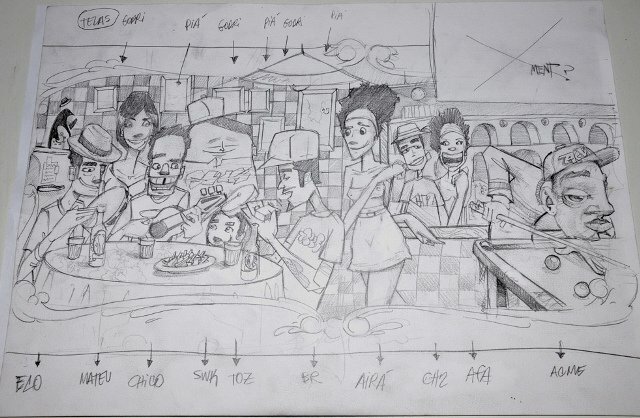 For the artists, who have long had an interest in doing a piece that celebrated the neighborhood of Lapa (an epicenter of the graffiti culture). 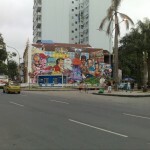 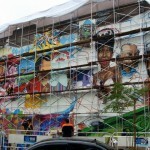 For the owners, the mural was intended to be and has become an attraction for tourists. 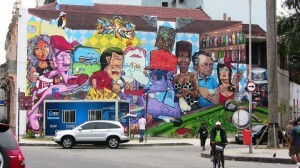 The mural, one part of an urban revitalization project that also included a repair of the common areas near the painting (including the rebuilding of the sidewalk in front of the mural), has however become a point of controversy in recent months after the owners cut out a portion of the wall for the instillation of doors. 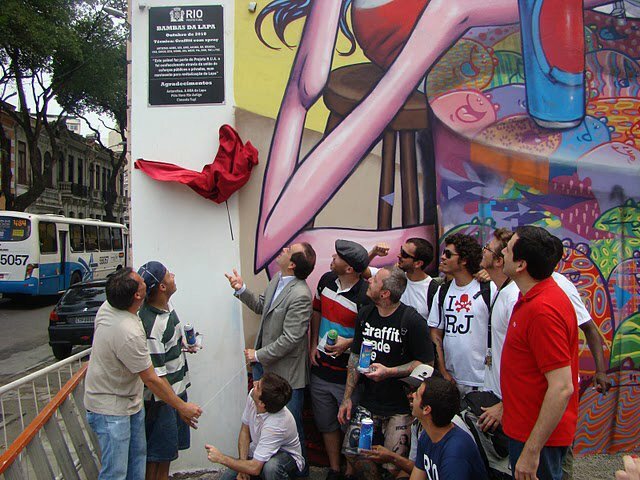 According to Pedro Villela (co-founder of Instituto RUA), the opening of the doors was a plan that had been foreseen at the time of the original painting. 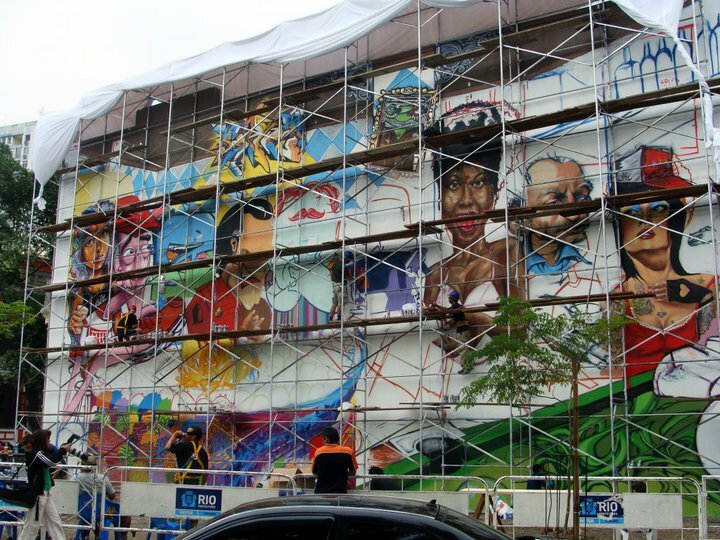 Yet, this knowledge did little to persuade an angered public that viewed the installation of the doors as a misrepresentation of the purpose of the mural. 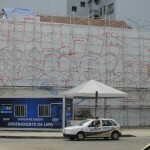 Discussions between Instituto RUA and the bar owners (Bar Sarau), are ongoing, both agree the wall will be repaired, though, contrary to some reports, the cost and extent of repair has yet to be agreed upon. 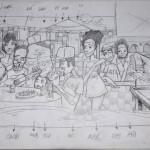 “We are still discussing. 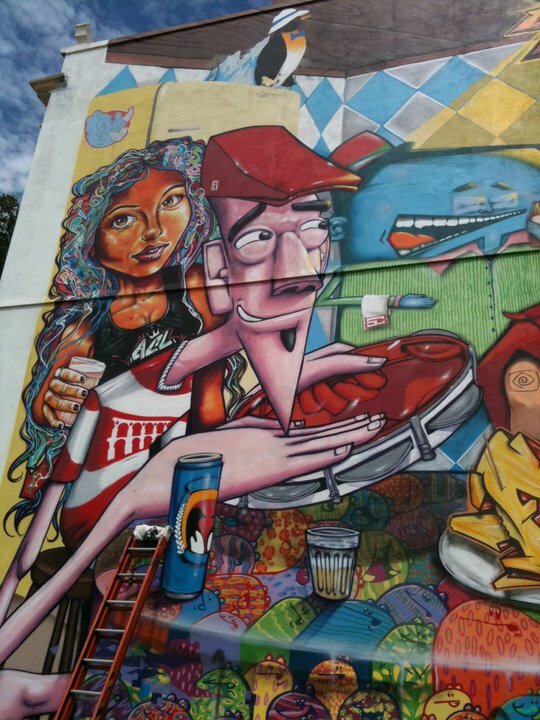 The owners are interested in working with us to fix the mural, but we have yet to agree on the details of the project,” mentioned Villela. 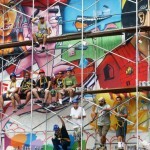 Still, this type of cooperation is encouraging for street artists in Rio. 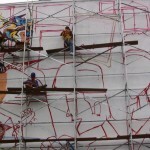 “The property owners see the value in work like this, it is a different type of attraction,” says Villela. 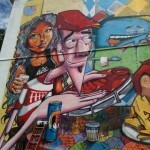 The relationship between private property and street art could not be characterized as a friendly one in most cities. 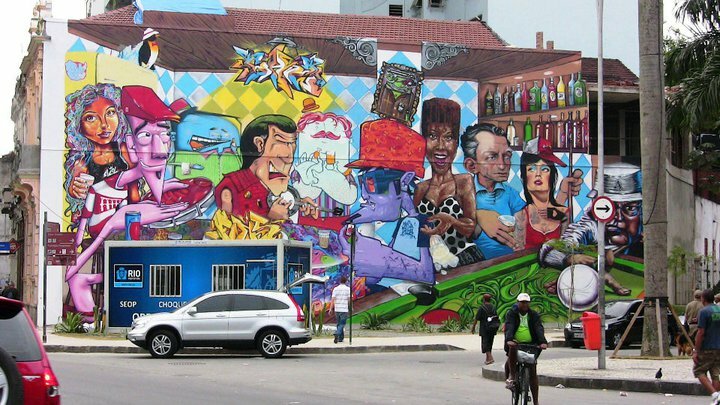 Yet, more progressive cities, lead by places like Rio, see the value in having unused areas transformed into works of art. 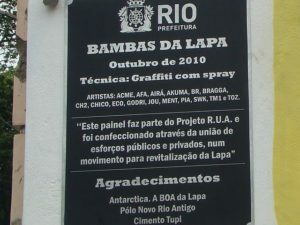 Instituto RUA is regularly involved in these types of projects, using street art to revitalize private and public property. 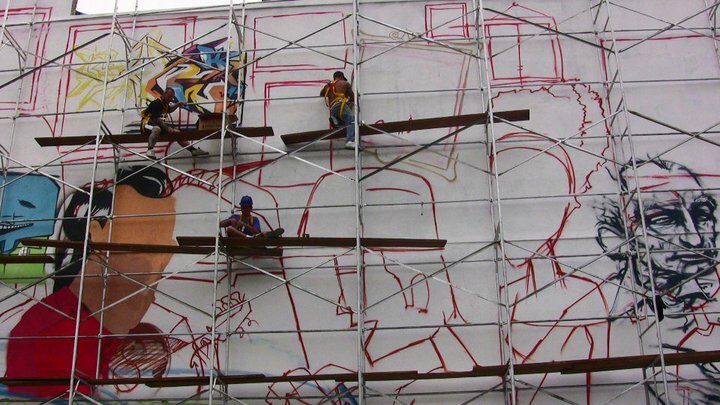 The group regularly works with the city to develop projects that transform dilapidated areas into creative public spaces, working as intermediary between private property owners and the artist, often with the city’s support (e.g., traffic control, lighting). 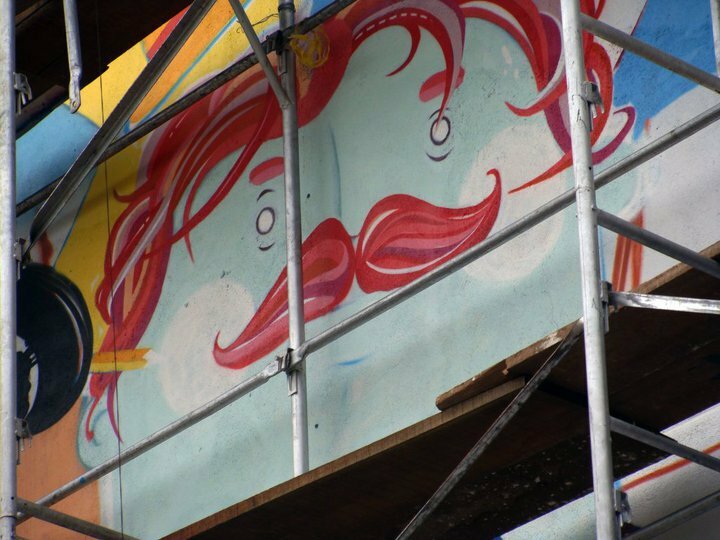 More property owners are acknowledging the benefit of having unused spaces turned into attractions. 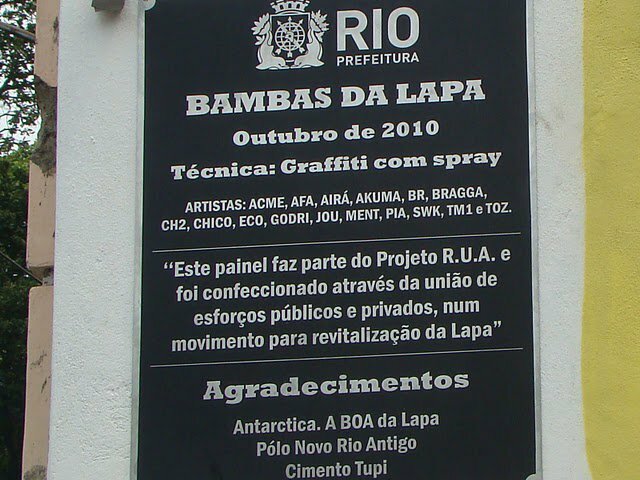 Disagreements like the one surrounding Bambas da Lapa are bound to arise when the interests of owner and artist are not aligned. 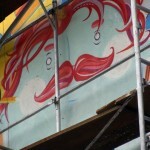 Though, when they are, and the spirit of cooperation prevails, the result is a benefit to the viewing public.